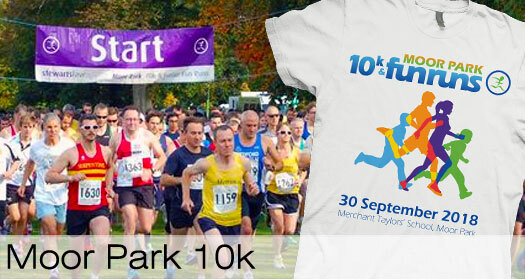 Order your 2018 Moor Park 10K T-Shirts here and collect them on the 30th September at the event. The CUT OFF date for orders that can be collected at the event is Midnight on 23rd September. Any orders received after this date, will be printed the week after the run and shipped out, WHEN A POSTAGE CHARGE OF £3.50 WILL BE INCURRED.